Following last weeks hammering 4-0 of Newport County put a few smiles back onto the Leyton Orient fans faces it all went wrong yet again at home against Grimsby Town. Another home defeat, this time 3-0 saw them look ever more over their shoulder at going out of the football league for the first time in Leyton Orient’s history. Oh the poor long suffering home fans, can the tide turn in time for some kind of salvation to stay in League 2. The answer is a dismal ‘no’. The team looked defeated in the warm up and that about sums up the O’s confidence at the moment. They looked and played like a haunted side that have already given up the ghost of top flight football. But it’s goals not ghouls that they need at the moment. Last weeks heroic showing was a false dawn. One swallow does not make a summer and this was the showing of an albatross not a swallow. The O’s home form is simply atrocious. Despite the poor form, Danny Webb’s men are still in 23rd place, but they are now six points from safety. 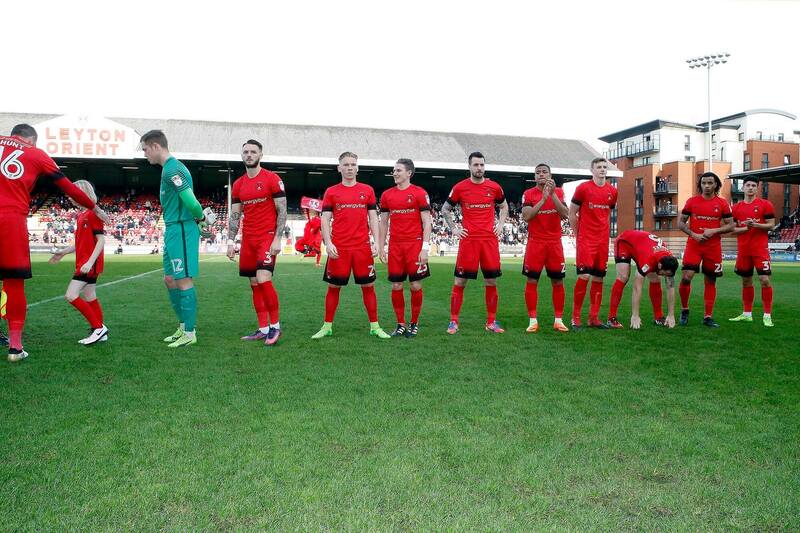 Orient has seen improvement under Webb, but he is yet to claim a point at Brisbane Road having lost all five home games. He was hoping to change that record when his team played Grimsby but Grimsby were too good. Orient have managed just one win in their last eight home games, with their last victory in E10 coming against Crawley on Boxing Day. 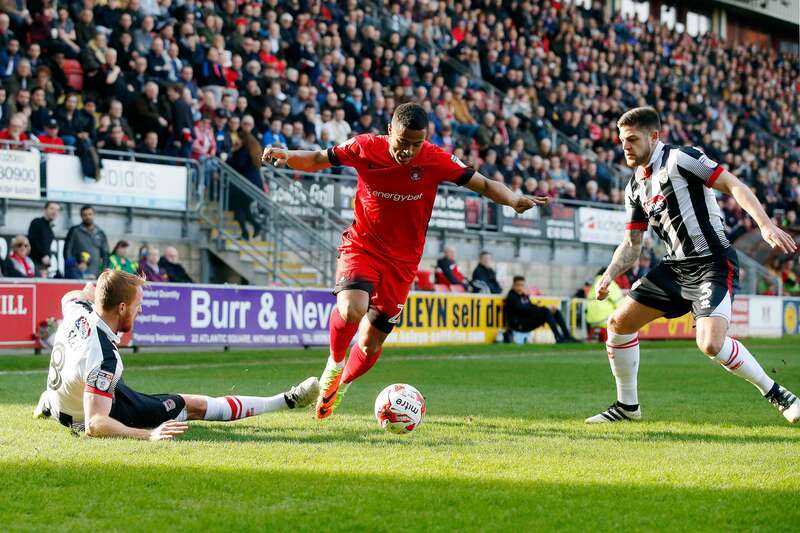 For Grimsby now safely in mid table they recorded their seventh away league win of the season with a convincing victory over the struggling O’s. Sam Jones gave the Mariners the lead after just seven minutes with a close-range header from Danny Andrew’s cross with the Orient defence all at sea. The influential Jones was then involved in Grimsby’s second goal after 71 minutes. The striker’s powerful drive was saved by Charlie Grainger with his feet but the ball cannoned off Callum Kennedy into his own net. Lady Luck was not on Orient’s side but then again you make your own luck in this game. Grimsby Town skipper Craig Disley then produced a sublime piece of skill to place the ball into the path of substitute Scott Vernon, who volleyed the ball into the net from six yards after 87 minutes. In added time, the unfortunate Kennedy was denied a consolation goal when his long-rage effort struck a post to leave the disillusioned fans with no relief whatsoever. Koroma had become the youngest Orient player to have scored a hat trick last week. He was also the first O’s player to score three goals in a game since Shaun Batt in the Football League Trophy in September 2013. Orient’s last league hat trick came from Ryan Jarvis against Millwall just over ten years ago. One thing is for sure at Brisbane Road, if Koroma doesn’t get a few goals then the O’s are doomed and it’s going to be a long hard spring for Leyton Orient Football Club and particularly the fans.